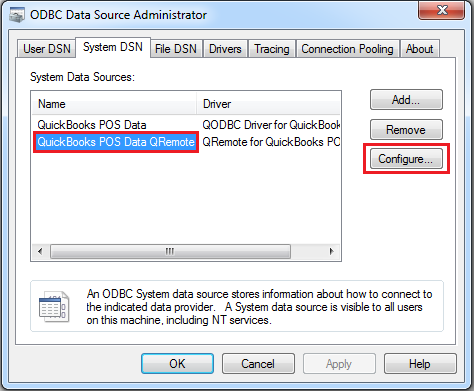 To use QODBC POS with Jitterbit community edition 3.0.0, you should follow the steps below to configure your QODBC POS driver and Jitterbit connection. 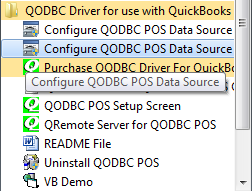 These steps work for QODBC with Jitterbit 3.0.0 on 32-bit Windows 7. Other platforms have not been tested. 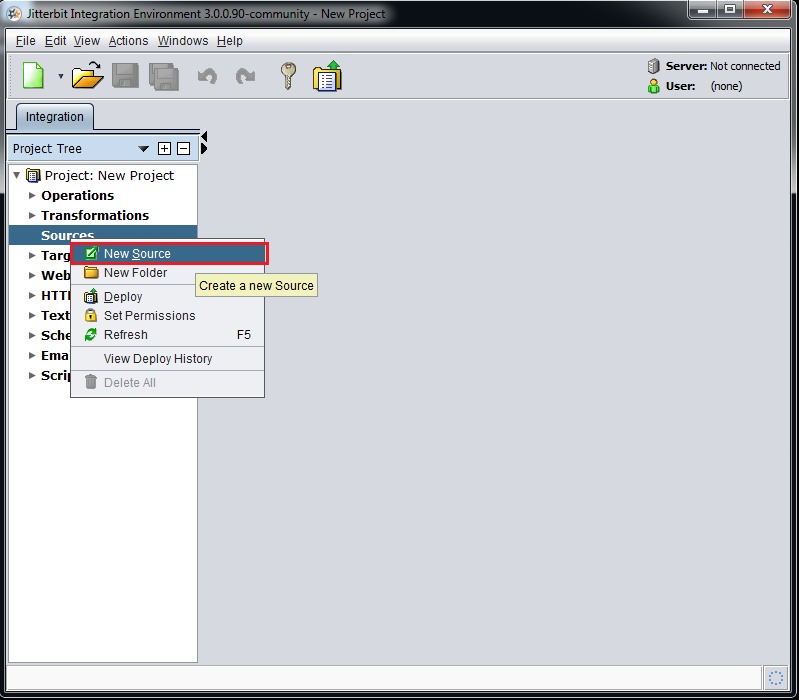 QRemote Client Driver: Allows 64-bit Applications to connect to QRemote Server and sends the Request to QRemote Server for Processing. 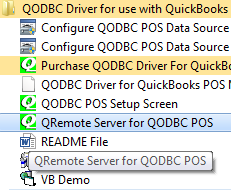 QRemote Server: Processes requested instruction from QRemote Client to QuickBooks using QODBC POS DSN Driver. QRemote Server Main screen shows the IP address and Port it allows the QRemote Client to connect to. 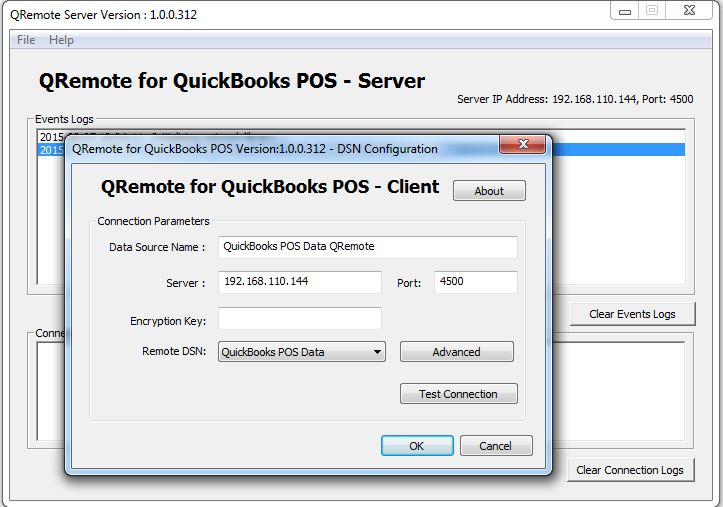 "QuickBooks POS Data QRemote" is the default DSN created when installing QODBC. 7. 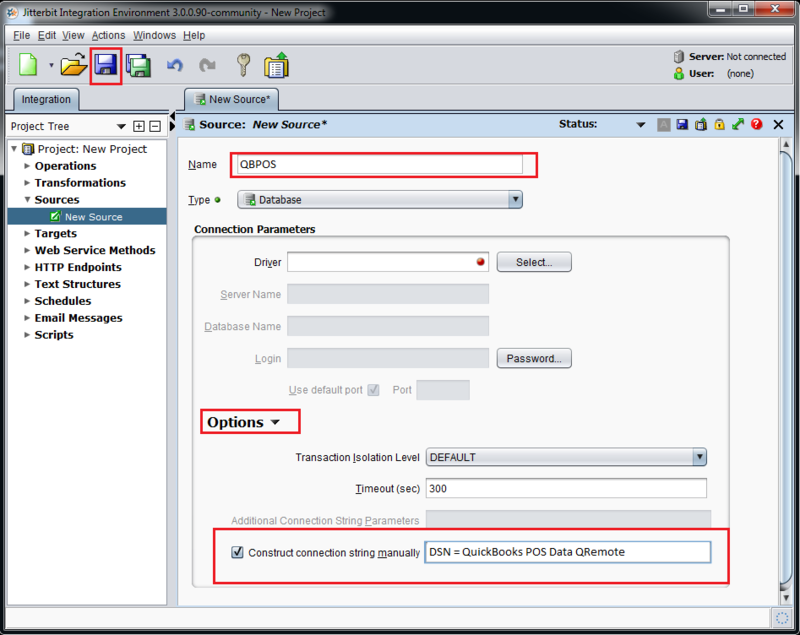 Enter DSN=QuickBooks POS Data QRemote into the field adjacent to the check-box. 8. Click the Save icon.